Many of our recent author and illustrator birthday celebrations have been connected to one another. About a month ago we celebrated Kathleen Krull's birthday. We read her book Road to Oz: Twists, Turns, Bumps, and Triumphs in the Life of L. Frank Baum which was illustrated Kevin Hawkes. My kids loved Road to Oz which led me to look up Kevin Hawkes' birthday which we celebrated last week. During the Kevin Hawkes' birthday celebration, we read the books he illustrated Sidewalk Circus and Westlandia. My family loved both of these books which were written by Paul Fleischman. I was interested in reading more books by Paul Fleischman and I found The Animal Hedge and The Matchbox Diary, both illustrated by Bagram Ibatoulline. I loved both of these books, which led me to look up Paul Fleischman's birthday. Yikes! I found that it was less than two weeks away and we were heading to Washington D.C. for the National Book Festival. 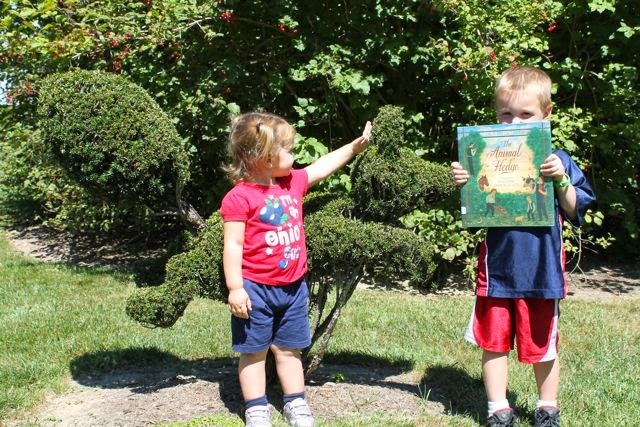 I really wanted to share these books with my family, but time was limited. Maybe, just maybe, there would be a way to celebrate Paul Fleischman's birthday on the way to Washington D.C. to keep the string of celebrations intact. Paul Fleischman is the author of a dozen picture books including The Dunderheads and The Dunderheads Behind Bars, illustrated by David Roberts. He has also written many middle grade and young adult novels including Seedfolks which was named the 1997 Best Book by School Library Journal and Publishers Weekly and Graven Images, a 1983 Newbery Honor Award. He may be best known for his poetry book Joyful Noise: Poems for Two Voices which was awarded the 1989 Newbery Award and it was included in School Library Journal's 100 Books that Shaped the Century. In 2012, he was a "final five" nominee for the Hans Christian Anderson Award for his "lasting contribution to children's literature." Paul Fleischman's next book is Eyes Wide Open: Going Behind the Environmental Headlines (available September 23, 2014). I mentioned above that I loved the book The Animal Hedge which was named one of The Best Picture Books of 2003 by Publishers Weekly. It is a story about farmer who loses his farm and all his animals after a drought. Left with nothing he moves himself and his three sons to a cottage with a hedge. It finally rains and the land is once again lush. However, the farmer misses his animals and is saddened that he will not be able to pass his farm on to his sons. 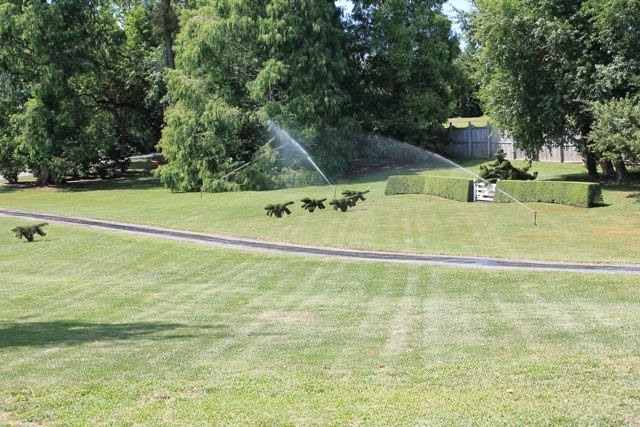 One day, the farmer notices the hedge around his cottage needs trimmed. As he trims he begins to see shapes of animals. Over time, the farmer takes great care trimming the hedge into cows, chickens, geese, goats and pigs. The animal hedge helps the farmer find happiness, but the farmer will need the hedge's help once more as his sons begin their lives on their own. It was two days before we left for Washington D.C. and our trip was planned. However, something was missing; an author birthday celebration. Two years ago we celebrated Bob Staake's birthday in front of The White House. Last year we celebrated at three locations in Washington D.C. and met Andrea Davis Pinkney to celebrate her birthday. 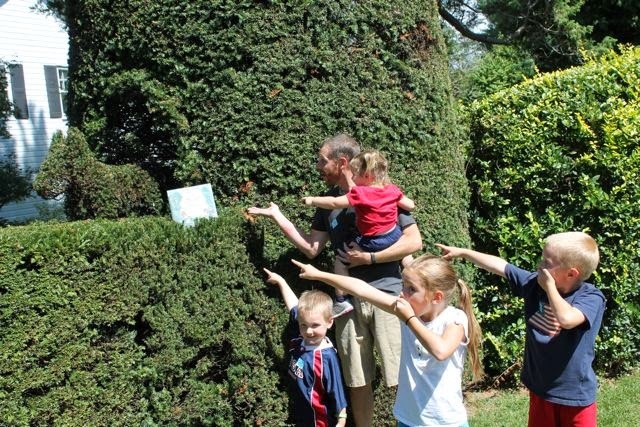 I thought, maybe there is a topiary garden in Washington D.C. for me to read The Animal Hedge to my family. 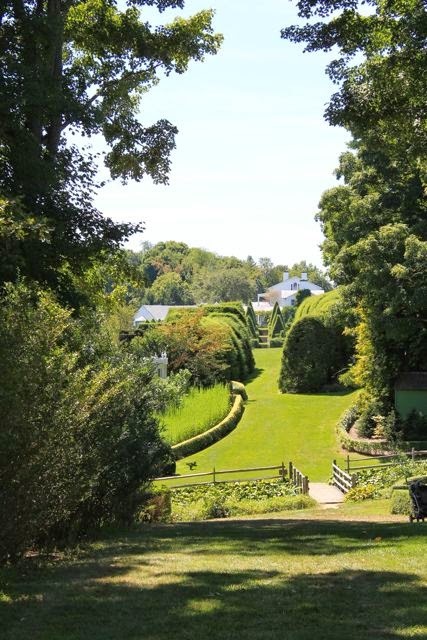 Well, I didn't find a topiary garden in D.C. but I found one in Maryland. It was on our way from Ohio, but we needed to leave a day early to make it fit into our schedule. 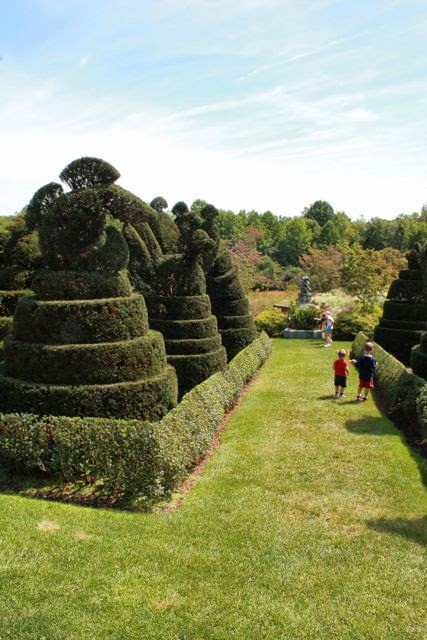 Ladew Topiary Gardens is located in Monkton, Maryland. 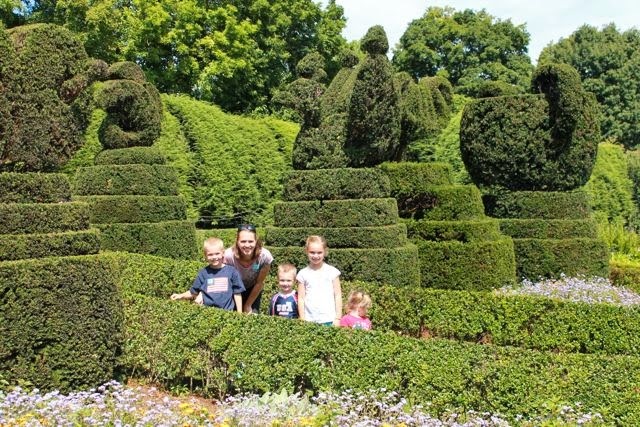 It was described by The Garden Club of America as "The Most Outstanding Topiary Garden in America." 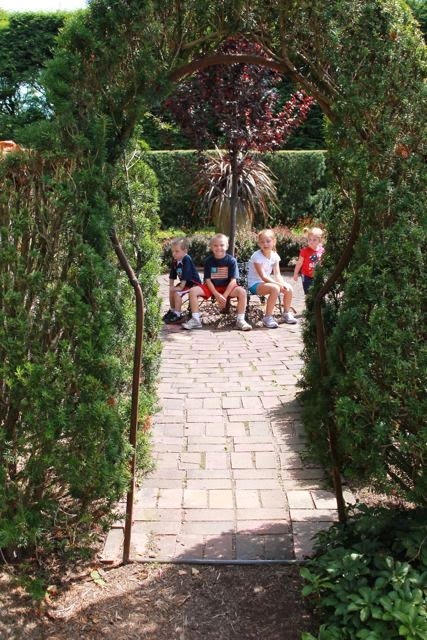 There are over 22 acres of gardens including over 100 topiary forms and numerous garden rooms. 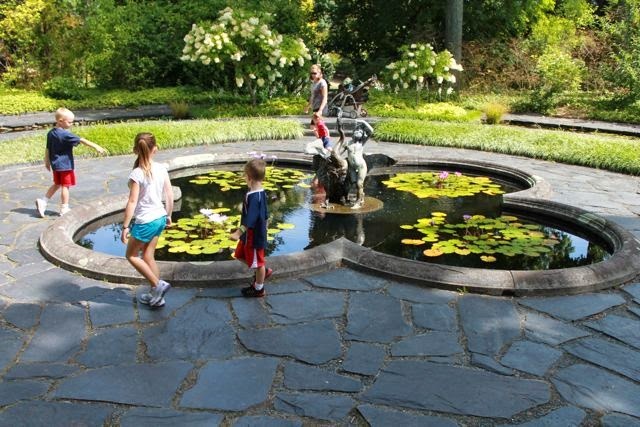 The gardens were designed by the self-taught gardener, Harvey S. Ladew. 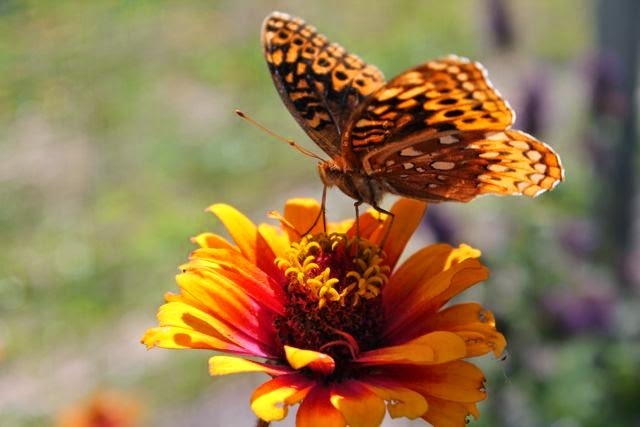 He is credited with being one of the first Americans "to create garden rooms (rooms devoted to a single color, plant or theme) on this side of the Atlantic." 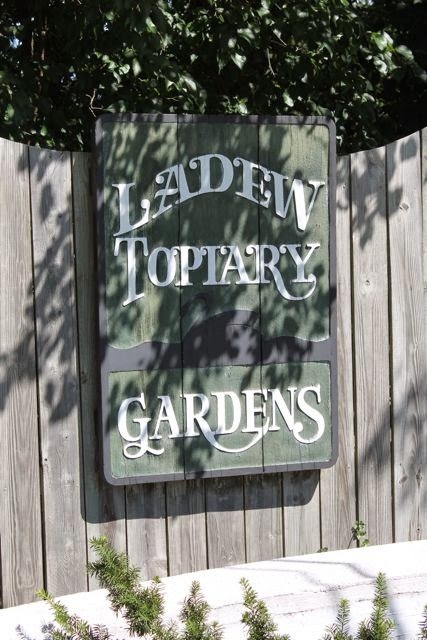 (Ladew Topiary Gardens Garden Guide). 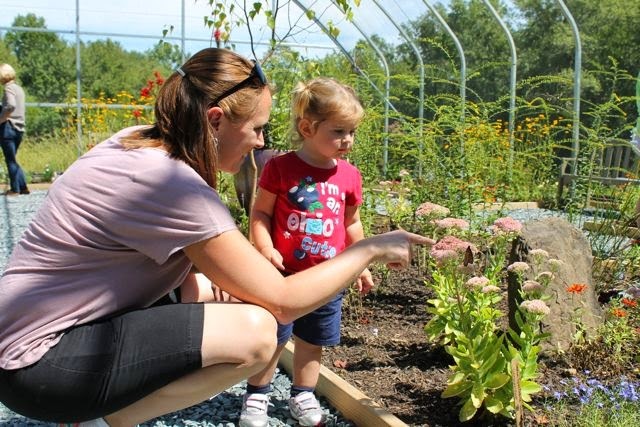 Mr. Ladew has passed but his gardens live on for families and nature lovers to enjoy. 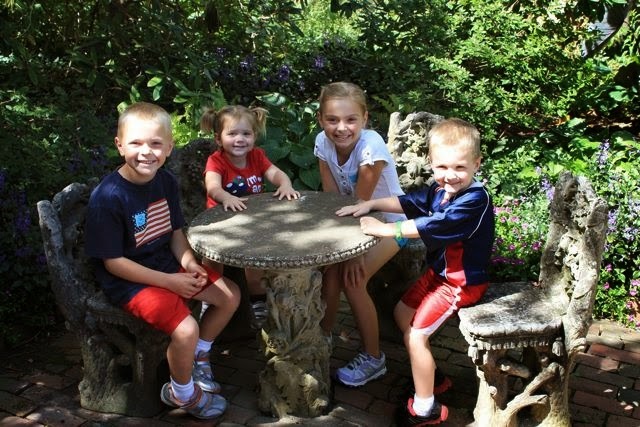 My children were so excited to explore all of the gardens. 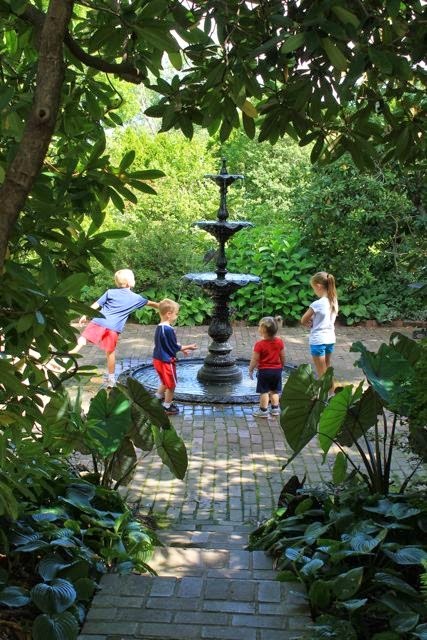 Many of the garden rooms featured fountains and small ponds. 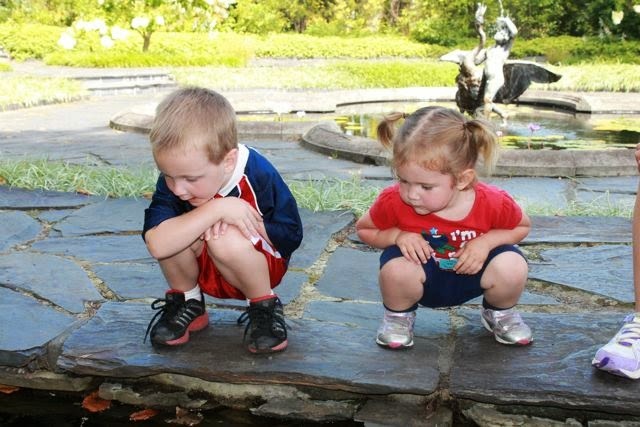 They found many frogs and tadpoles. 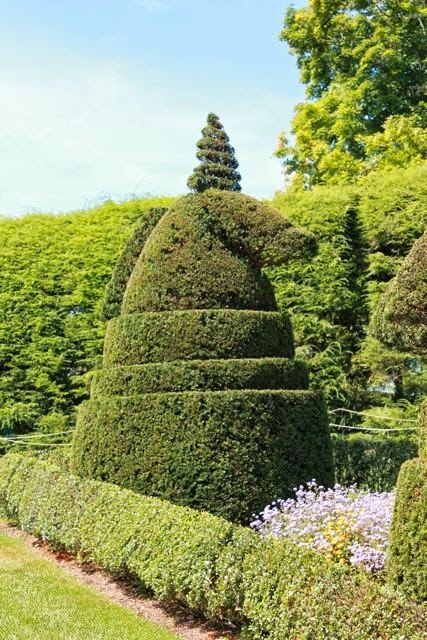 Topiary - the art or practice of clipping shrubs, hedges, or trees into ornamental shapes. The Hunt Scene features a rider on a horse and many hounds. I wonder what they are chasing. 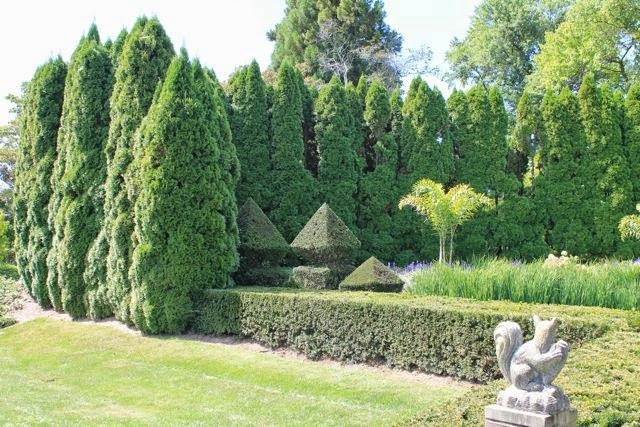 Topiary was sprinkled throughout the Ladew Topiary Gardens. It is hard to see from this picture but the hedge in the back was lined with swimming swans. I almost read The Animal Hedge to my family at this location. I was happy I held off because we would soon find the perfect place. 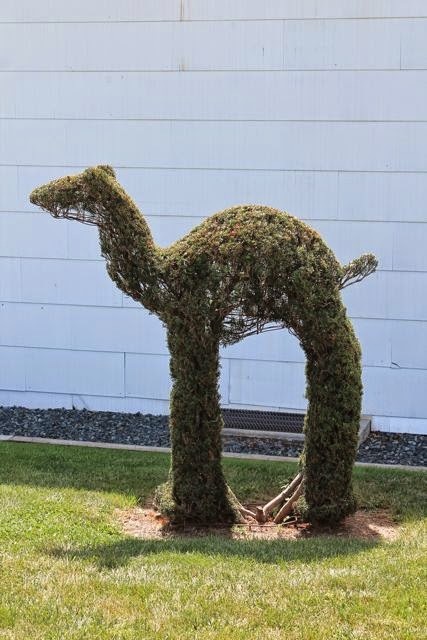 The Sculpture Garden was filled with topiary! 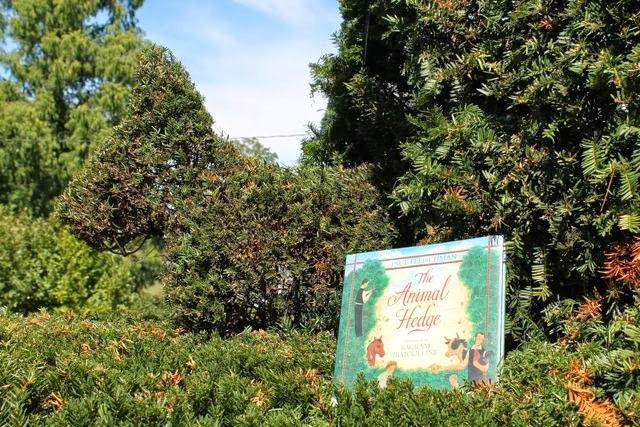 This was the perfect place to read The Animal Hedge. We even found a shady spot! 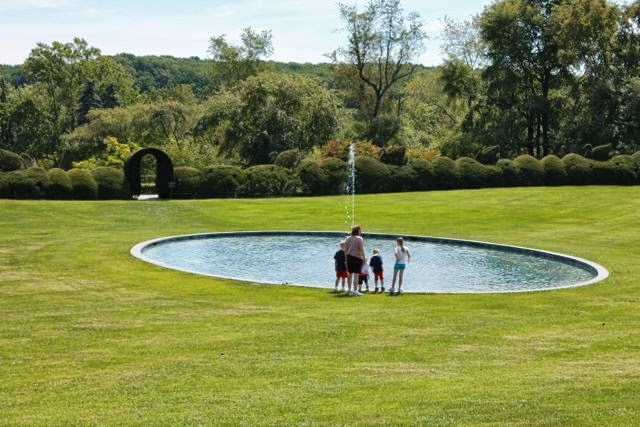 Ladew Topiary Gardens was magical. 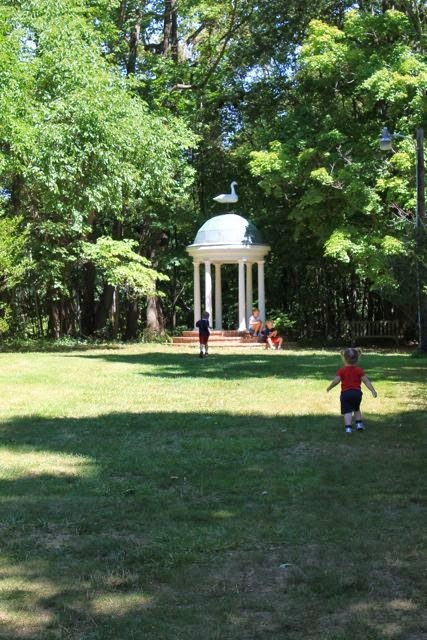 Everywhere you turned there was another neat place for my children to run and play. I really wish we lived closer. It was beautiful! 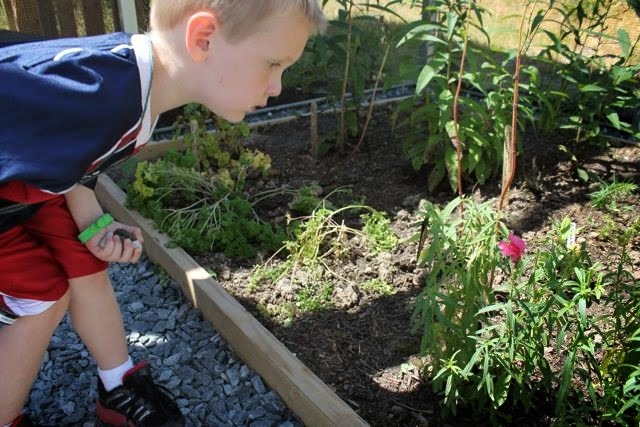 We had a picnic lunch and then decided to head over to the new butterfly house on the grounds. 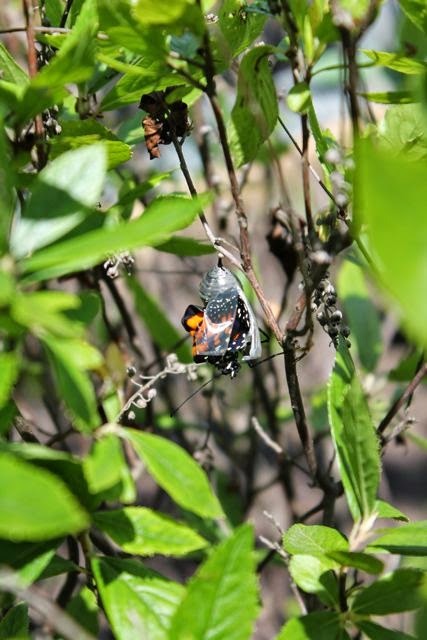 We got to see so many native butterflies and chrysalis. 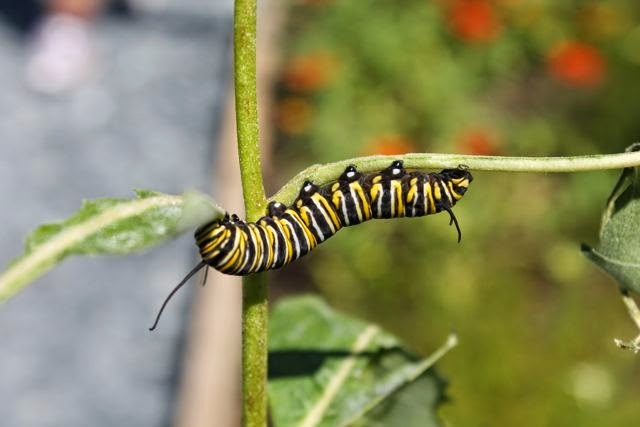 We were lucky to see a monarch butterfly emerge! We found what the hounds were after. It was a fox! My daughter thought he was nice. Do you see the little dog coming out of his dog house? Wow! This was a memorable reading experience! 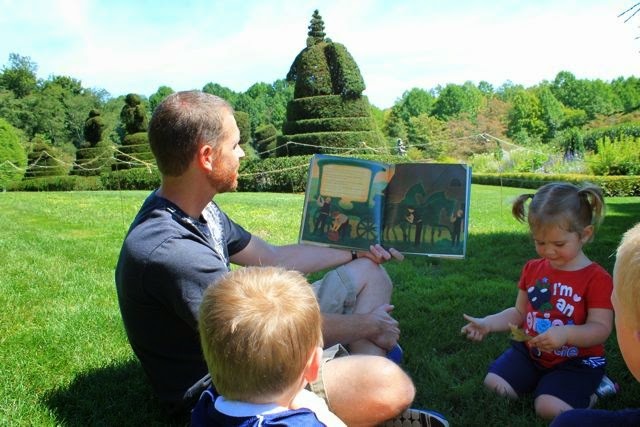 It was a great way to start our weekend of reading at the National Book Festival! This fall, Bagram Ibatoulline will be presenting at the Mazza Museum Fall Conference, November 7 and 8. Maybe he will share his birthday with us so we can extend this string of birthday celebrations. I would love to celebrate with The Matchbox Diary by Paul Fleischmen which was just awarded a 2014 Christopher Award.